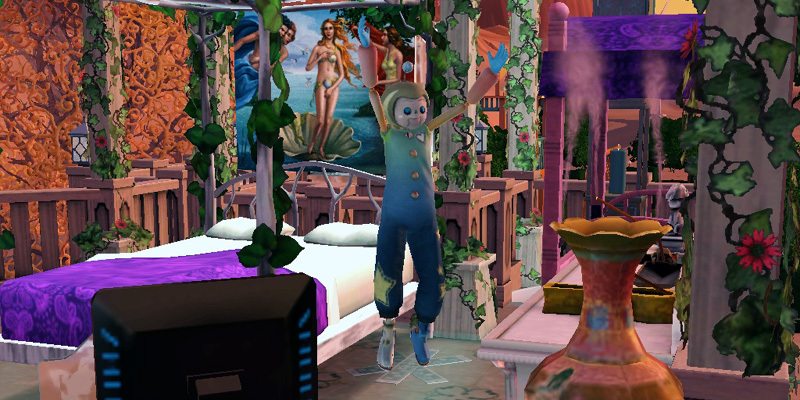 Everything about Imaginary Friends for The Sims 3 Generations. I usually rush my sims straight through to young adult. This took me way too long to figure out. keep playing with it to unveil its unique secrets as she ages. Get the mail to place it in [Baby]’s inventory. This message is sent the first mail time (8-9am) after the baby’s birth. Bring the doll out from inventory. What’s this? Looks like [Toddler] has taken quite the liking to [Toy]. [Toddler] should continue to build her relationship with [Toy] if she likes it! [Toy] has become a very special toy for [Toddler]. Who knows what will happen if she keeps playing with it? Maybe they’ll stay as good friends when she grows up! When your toddler ages up to child, the doll will become an imaginary friend. Ghost toddler playing with an imaginary friend doll. Only babies/toddlers can get the toy, not children. Since Imaginary Friends need to be at least children before they can be made real, Imaginary Friends Made Real (IFMR) cannot have an Imaginary Friend. However, the children of IFMRs can. ♥ Merge with… any household. Move your toddler across. ♥ Merge with… your original household. Move your toddler back. ♥ Check your toddler’s inventory. While I was trying out different ways to spawn the toy, this succeeded on the first try. The doll will teleport on its own, like a gnome. Unlike teddy bears, it will not give the cuddle time moodlet when in inventory or a crib while a toddler/child/childish teen/adult sleeps. When your child goes to sleep or leaves the home lot, the imaginary friend will return to doll form and can be returned to the inventory. You can also turn it into a doll via “Leave Me Alone”. You can get the potion to turn your Imaginary Friend real through a potion from the Generations Chemistry set or the “When Dreams Come True” opportunity (which requires a rainbow gem). The chemistry set uses the Logic skill, which also helps with homework, so you might as well develop your child’s Logic. 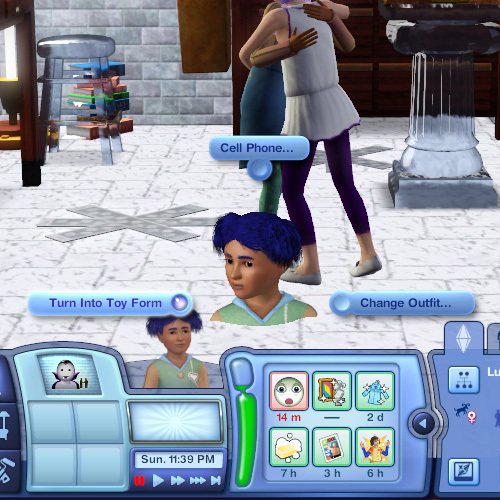 An Imaginary Friend Turned Real is added to the family like a normal sim. They have distinctive hair and eye colours and clothes. Physically and genetically, most of their Create-A-Sim sliders are exactly centred, making them pretty much the definition of average. An Imaginary Friend Made Real can turn back to toy form at any time. All opinions expressed herein do not represent the opinions of the author.